Having taken lessons, workshops and master classes from some of the world’s most renowned teachers and instructors at some of the biggest congresses and festivals both here and abroad, Chris focuses his teaching on fun and enjoyment, whilst making sure technique and style and being able to bring these skills to the dance floor. Chris’ classes are fun, full of energy and engaging, allowing him to bring the best out of his students, through his empathy and understanding of their level. The experience of dancing with the Latin Connection Dance Company has taken Chris all over the world. He has taught and performed at some of the most prestigious UK and International salsa festivals. From the Blackpool Tower Ballroom, to the Scottish Salsa Congress in the Uk and International festivals such as Carthago in Tunisia, Malta and Cyprus salsa festivals. 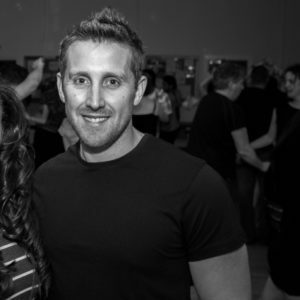 Along with Chris, the SalSeduce team has a hugely diverse dance and entertainment background. From its representation in the Sambadrome at the 2008 Rio Carnival to various TV and media appearances, SalSeduce offers an eclectic approach to teaching and performance salsa underlined by its popularity in the North East and beyond. Chris continues to improve his technique and develop his own distinctive style. Today Chris’s passion for developing salsa in the North East has never been stronger. You only have to turn up at one of his nights to see the results for yourself. Began her salsa journey in 2012 after attending a charity event organised by Salseduce and was instantly hooked. Dancing once a week quickly turned into two/three time a week. Supporting Chris in class along with regular private lessons began to really develop Tracy’s skills as a dancer and teacher. And even today she continues to improve her own dancing and teaching techniques. Salsa opened up a whole new world. Meeting people from all corners of the globe who share a love for dancing as well as friends made for life. Tracey’s Salsa journey has taken her to many unexpected places, along with regular travel to national and local congresses. Tracy has also been part of the SalSeduce Bachata Team, performing at various festivals and parties. Tracy loves what she, does, the people, the fun and the joy dancing brings to people from all over the world. It’s been an exciting adventure to get to this point and looks forward to where her journey will go next. 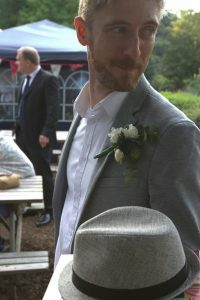 Steve has had a passion for music from a young age, growing up with a mixed spectrum of musical influence, together with a strong background in sound engineering, production and DJing. In 2013 Steve fell in love with Salsa dancing. After trying his first lesson at SalSeduce his passion grew quickly, helped by the striking and emotive feel of the Latin music. He quickly became hooked, and later started attending national and international dance congresses, learning salsa and bachata from world-renowned teachers. Steve has since performed as part of the SalSeduce Bachata Team at congresses including Teesside International Festival. With such a love for music, it wasn’t long before Steve took to the decks under Chris’ wing, and he now regularly plays at SalSeduce events including The Chillout Lounge, Salsabado and Tuesday/Friday socials. He is always adding to his wide collection of Latin music, and aims to create a feel-good party atmosphere whilst catering for all genres of dancers. Vicky was born in Inner Mongolia, China. Vicky quickly the Latin dance scene upon her move to Newcastle in 2013, first with the Newcastle University Salsa Society, followed by SalSeduce soon after. Although she mainly enjoys dancing salsa, bachata and kizomba now, she is always keen to try out other styles and genres. Her love for Chinese folk-dance stands strong, and clearly shines through to give a unique flavour to her dancing. 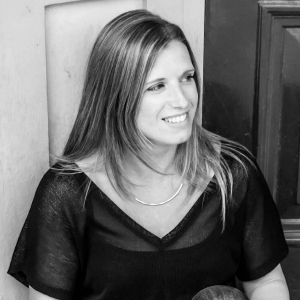 As well as training locally, Vicky regularly travels to national and international congresses to pick up salsa and bachata from global artists. She has participated in four performance groups: Newcastle University Salsa Society performance team, Las Chicas Ladies Styling Group, SalSeduce Bachata Team (performing at Teesside international festival), and Daniel and Desiree’s World Team Bachata Project. 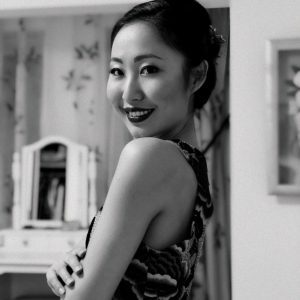 Outside SalSeduce, Vicky continues to teach both Chinese language and folk-dance to students at various schools around the North-East. Abi has a long history in dance, having danced various different styles since a very early age, including Ballet, Tap, Ballroom, Classical Sequence, Latin American, Contemporary, Hip-Hop, and Musical Theatre. However, it wasn’t until July 2016, when she found the Latin dance scene in Newcastle with Salseduce, that the addiction began. 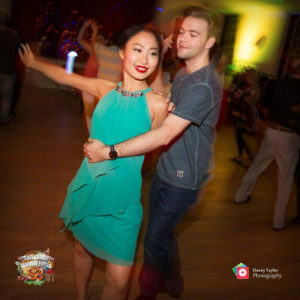 Going from weekly beginners salsa classes with SalSeduce on a Tuesday, Abi now dances Salsa, Bachata and Kizomba nearly every night of the week in Newcastle, and frequently travels to National and International congresses to improve her dancing ability. Abi was a member of the second generation of The Mambo Factory, undertaking intense training in on2 salsa, and recently she has performed as a member of the Newcastle Venenitas Bachata Ladies Styling team at both the Black Swan and Salsabado. Her passion for dancing is evident from her regular appearance on dance floors across the whole of the North East. 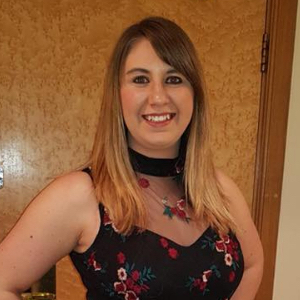 Abi has a particular drive to encourage new dancers onto the scene and is keen to develop her teaching skills to help beginners to fall in love with Salsa, Bachata and Kizomba in the way she did. SalSeduce has been introducing people from across the North East to Salsa, Bachata and Kizomba for many years. Christopher and Sophia are the latest edition to the SalSeduce family and will be using their combined years of experience to deliver weekly Salsa and Bachata classes. Christopher is from the North East and found salsa after tagging along with friends on a night out. Sophia is from China and having moved to UK for study continued her enjoyment of dancing by joining the University’s dance society. They met on the dance floor in 2013 and have since danced across the UK, Europe and Asia. 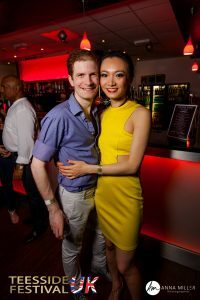 After shows at dance events they celebrated their wedding in 2017 with the debut of their first jointly choreographed routine that they went on to perform in China. As a SalSeduce instructor couple they’ll be breaking down salsa and bachata, taking you from your first steps right up to feeling and looking good on the dance floor.